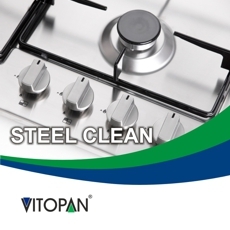 Stainless Steel cleaner for professional kitchen surface hygiene. 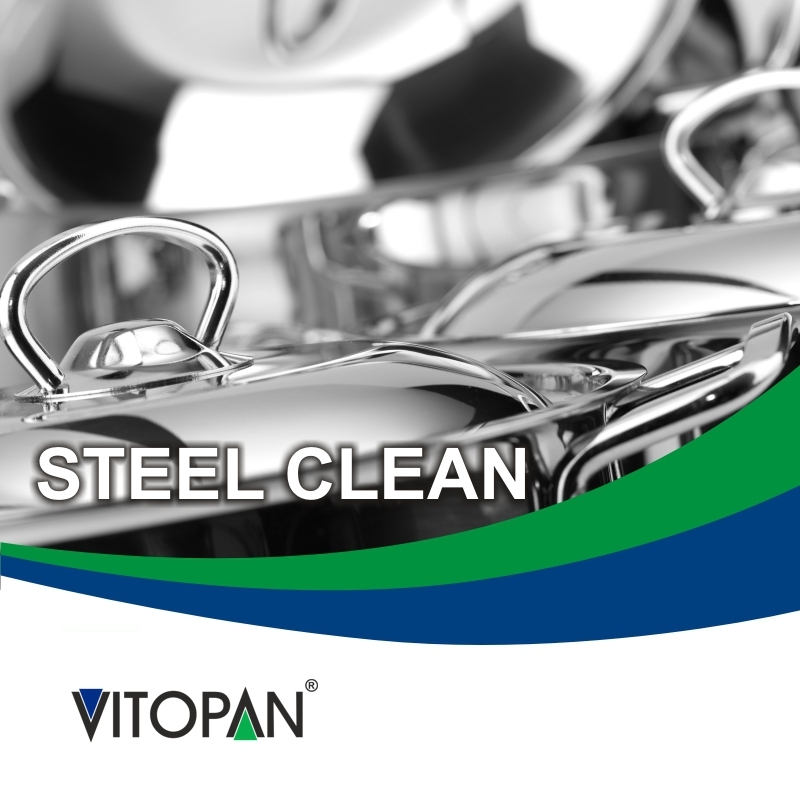 Steel Clean is a multi-purpose cleaner which is ideal for use on stainless steel, aluminium, chrome and laminated plastic surfaces. 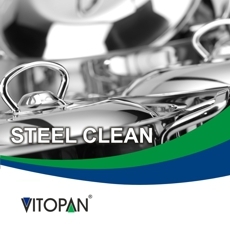 Why use Vitopan Steel Clean? CLEANS: Our steel Clean formula has been proven to tackle grime, grease and other kitchen contaminents effectivley and efficiently. POLISHES: When used on high sheen surfaces such as stainless steel, chrome and plastic you are left with a dazzling clean gleam finish. 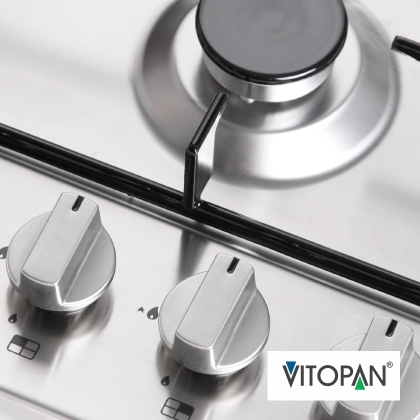 PROTECTS: Steel Clean leaves a protective coating behind after use, ensuring your stainless steel item is kept clean long into the busy kitchen schedule and by forming a barrier between the dirt and grime your cleaning schedual is made easier next time. Available in 275ml trigger spray bottles for easy application. 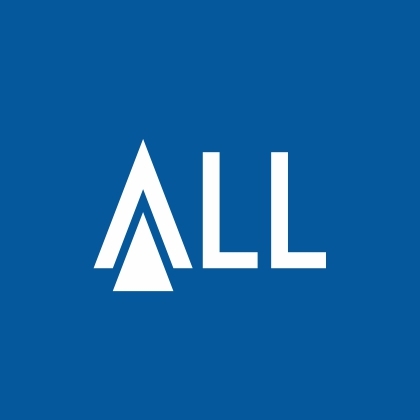 Recommended by the professional cleaning and catering industries. When you're working hard the last thing you want to be worrying about is your surfaces. So when you do come to clean your surfaces you want to clean and forget. With Steel Clean you can do just that. 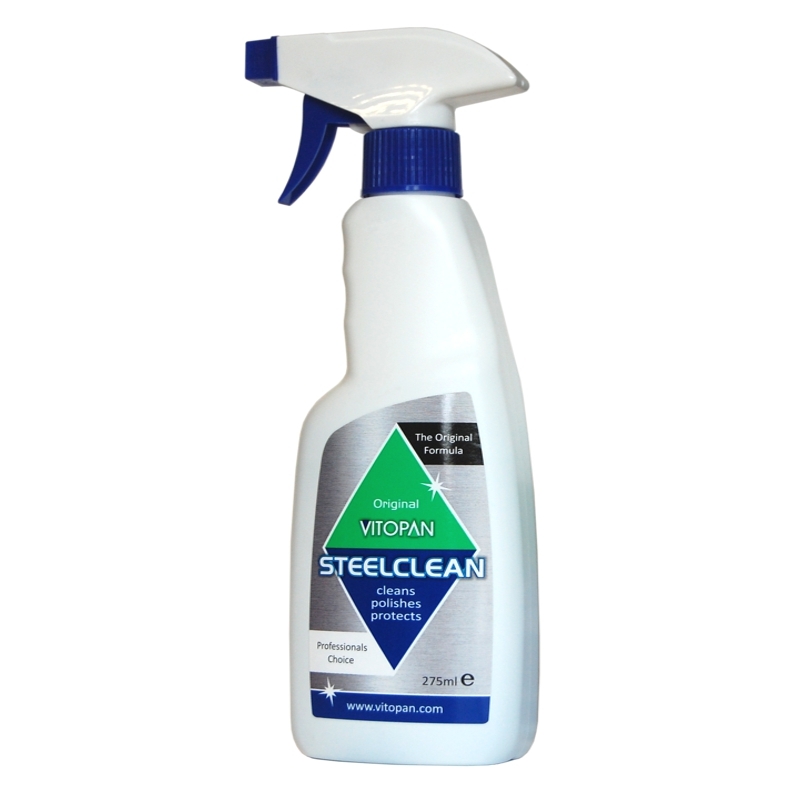 This professional multi-purpose steel cleaner can work its magic on a variety of surfaces. Why have three products when you can have one. Steel Clean leaves a protective hygienic coating behind after use, ensuring your stainless steel item is kept clean long into the busy kitchen schedule. A must-have in your kitchen surface cleaning supplies arsenal. 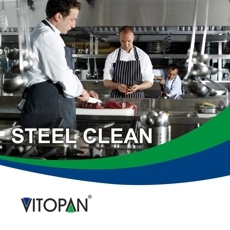 Recommended by professional cleaning and catering industries as one of the best multi-purpose steel and metal cleaners available. A kitchen surface cleaner that does everything you could want from it. 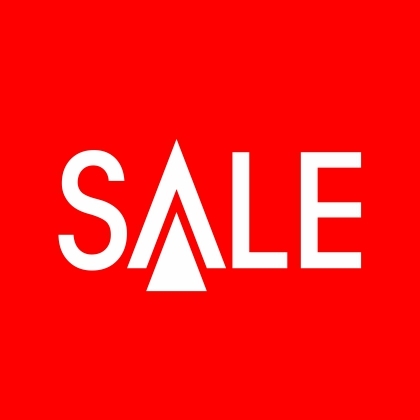 Sizes: 275ml Trigger Sprays, 500ml Food Safe Aerosol Tins. 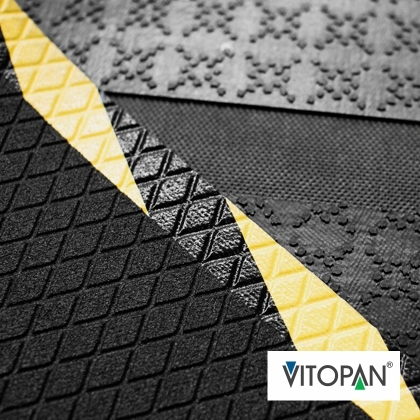 Functionality: Cleans, Polishes and Protects. 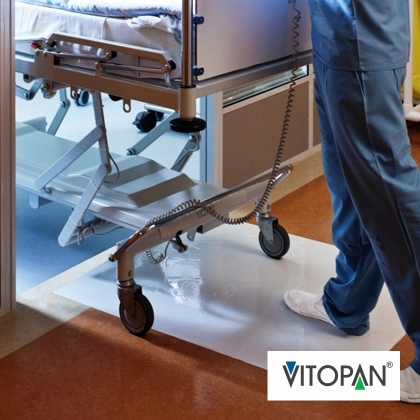 Application: Use to clean Stainless Steel, Aluminium, Chrome, Laminated Surfaces and more. 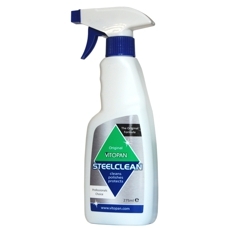 Steel cleaner that polishes and leaves a protective coating. 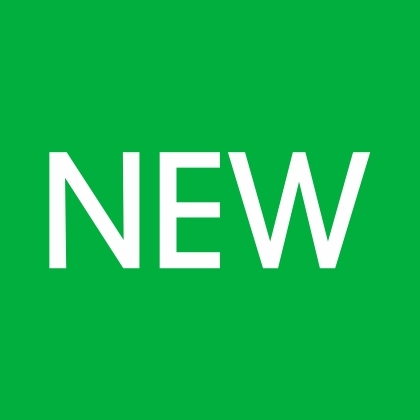 IMPORTANT: Steel Clean is a powerful commercially used product, it is important that you read our Safety Data Sheets before you buy or use any of our Steel Clean products and familiarise yourself with these guidelines and safe practices.